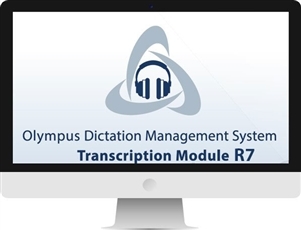 The Olympus Dictation Management System (ODMS) software is a dictation and transcription management software suite designed to simplify and enhance voice dictation productivity for professionals. Using the latest ODMS Release 7 software, users can now take advantage of the Configuration Wizard which has streamlined configuration along with integration of the WiFi capabilities of the DS-9500 and it's real time file management capabilities. Users can now manage their entire dictation and transcription experience, from control settings and author IDs on individual devices to system-wide security and workflow preferences. Whether you lost your dictation License ID, or you want to add a new computer or a new user, now you can purchase an Extra Olympus Software license ID . Same-day license key delivery available along with a digital software download link during business hours M-F 9am to 5pm. EST. You don't have to wait till you receive your software to use it, once you do the purchase, we will e-mail you your License ID & a link to download the software (during business hours). Automatically receive dictation files and send transcribed document files by email or FTP. Receive a visual or audible announcement every time a new dictation file arrives. Automatically starts your word processing program when transcribing a dictation file. Manage DSS Pro (DS2) DSS, WAV, WMA, WMA, MP3 and AIFF audio files. Transcription can be done by combining the playback sound with the adjustable playback speed, tone control, and noise cancellation.